LONDON, April 18, 2019 /PRNewswire/ -- International Game Technology PLC ("IGT") (NYSE: IGT) announced today the release of its Notice of the 2019 Annual General Meeting ("2019 AGM") and 2018 Annual Reports and Accounts for the period from January 1, 2018 to December 31, 2018, and provided updated information for the 2019 AGM, which will be held at the Hyatt Regency London, 30 Portman Square, London, W1H 7BH, on May 17, 2019, at 3:00 p.m. British Summer Time (BST). The Notice of the 2019 AGM, 2018 Annual Reports and Accounts, and instructions to participate at the AGM are available at www.IGT.com, along with IGT's 2018 Annual Report on Form 20-F. These materials can be viewed directly online and are also available for download in PDF format. IGT's 2018 Annual Report on Form 20-F was filed with the U.S. Securities and Exchange Commission on March 8, 2019 and is accessible through its website at www.sec.gov. LAS VEGAS, April 18, 2019 /PRNewswire/ -- Scientific Games Corporation (NASDAQ: SGMS) ("Scientific Games" or the "Company") launched OpenSports, the Company's unparalleled suite of sports betting technology. OpenSports signals the transformation of its sportsbook product vision through an enhanced stack of solutions and speed to market delivery with player experience at the core of the proposition. The completely redesigned sportsbook solution offers customers a modular portfolio of products that can be mixed and matched to meet specific needs. OpenBet remains the core sports betting technology solution, the backbone on which a sportsbook can operate through SG Digital's proprietary betting engines tested for scale through global sporting events; OpenPlatform provides world-class, fully compliant player account and wallet services and functionality; OpenTrade, powered by recently acquired Don Best Sports, offers 360-degree managed trading services including pricing, odds, and feeds; and OpenEngage powers sportsbook operators with player focused flexible and innovative interfaces for digital (mobile apps, mobile web and desktop) and retail (SSBT, EPOS and Content Display). OpenAccelerate helps operators implement, manage and run the day to day business of their sportsbook. A team of experienced industry personnel designing and executing critical strategy and world class performance across acquisition, retention and player engagement. Keith O'Loughlin, SVP Sportsbook for SG Digital, said, "This evolution of our sportsbook products and services has been in line with our goal of providing unrivalled player experiences for our customers. The unification of our portfolio under a single brand allows us to help our customers connect better with their players and deliver next level engagement. As a business, we've grown through strategic M&A and continued to invest in our cutting-edge technology solutions to meet our customer and players' evolving needs. OpenSports acknowledges and embraces that change by giving our customers exactly what they need to win in the sports betting arena. It's a natural next step for us to continuously improve the way we connect customer needs with world class player experiences. The game has changed. We've changed. We're here to set the new standard by which this industry operates." LAKEWOOD, N.J., April 16, 2019 /PRNewswire/ -- The GLI Group (GLI®) has acquired SeNet International Corporation ("SeNet"), bringing expanded cybersecurity and other IT capabilities to clients of the GLI Group, Bulletproof a GLI Company, and SeNet. The companies serve a wide range of clients in the casino gaming space and across the business spectrum. Founded in 1998, SeNet is an information security services company serving government and commercial clients, including the gaming industry, throughout the United States. As part of the acquisition, the GLI Group will operate SeNet in conjunction with Bulletproof Solutions, ULC ("Bulletproof"), an information security company headquartered in Fredericton, Canada and wholly owned by the GLI Group. SeNet will operate as the U.S. information-security platform for Bulletproof, which will benefit existing SeNet clients by offering the broader information security services of Bulletproof, and Bulletproof's current U.S. client base by delivering services through local information security professionals. As the U.S. platform for Bulletproof, SeNet will leverage the combined capabilities of both companies to deliver enhanced information security services to clients. The investment further demonstrates the GLI Group's commitment to providing world-class information security services to clients. The GLI Group announced that, as part of the acquisition, all SeNet employees will continue to operate as a part of SeNet. That includes SeNet co-founder and CEO Ilan Katz and Chief Technology Officer (CTO) Gus Fritschie in leadership roles, and SeNet co-founder and President Toly Kozushin as a senior consultant. The GLI Group's James Maida, president and CEO of Gaming Laboratories International (GLI), said, "We are very pleased to continue our relationship with the entire SeNet team and look forward to them assisting us in providing world-class security services both inside and outside the gaming industries in the United States and elsewhere around the world." "SeNet was founded with a core objective to provide best-in-class information security services and continues to demonstrate consistent growth. What influenced me the most about the GLI Group is their unwavering focus on clients and strong track record of both growing and integrating new companies," stated Toly Kozushin. SeNet's Ilan Katz added, "We are very excited to add to the GLI Group's information security capabilities and help them grow in the U.S. While this acquisition closes a very successful chapter for the founders, it also introduces significantly greater growth prospects for our employees and clients." "Since joining SeNet approximately 15 years ago, I have personally observed the world-class capabilities of the GLI Group, and I am looking forward to joining the GLI Group team. Together with Bulletproof, we will have the combined capabilities to solve all security challenges for our clients," remarked SeNet's Gus Fritschie. LAS VEGAS, April 16, 2019 /PRNewswire/ -- Scientific Games Corporation (NASDAQ: SGMS) ("Scientific Games") will partner with Wynn Resorts, Ltd. ("Wynn Resorts") to support the launch of Wynn Resorts' unique digital sports betting and iGaming applications in the U.S. Wynn Resorts intends to initially launch in New Jersey and utilize several Scientific Games products and services including: a sports betting and iGaming system; a managed sports trading service and Scientific Games' market-leading content aggregation system that is home to more than 2,000 digital games such as 88 Fortunes®, Raging Rhino®, Zeus® and more. London & Dublin - April 15, 2019: GAN plc ("GAN" or the "Company"), an award-winning developer and supplier of enterprise-level B2B Internet gaming software, services and online gaming content in the United States, today updated the market following the publication on April 12, 2019 by the New Jersey's Division of Gaming Enforcement ("DGE") of Internet gaming and Internet sports betting financial information for the calendar month of March 2019 in New Jersey. · Internet Gaming Win was $39.1 million in March compared to $25.6 million in the prior year period, reflecting a year-over-year increase of 52.7%. · Total Internet Sports Wagering Handle (1) was approximately $298.3 million for the month of March 2019, up from $259.0 million in February 2019, but slightly down from $305.0 million in January 2019. · Internet Sports Wagering Gross Revenues (2) (after payouts) were $24.3 million, up significantly from February's $12.8 million and January's $15.5 million. 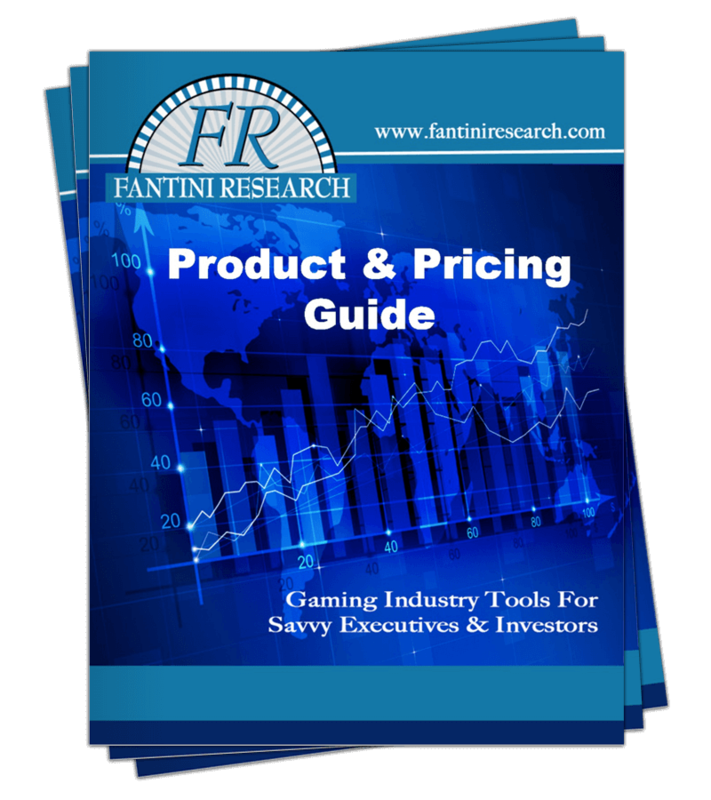 GAN is a leading business-to-business ("B2B") supplier of internet gambling software-as-a-service solutions ("SaaS") to the US land-based casino industry. The Company has developed a proprietary internet gambling enterprise software system, GameSTACK™, which it licenses principally to land-based US casino operators as a turnkey technology solution for regulated real-money internet gambling, encompassing internet gaming, internet sports gaming and virtual Simulated Gaming. The Company has also launched digital user acquisition & retention marketing in support of the Internet Casino (https://casino.winstar.com) provided by GAN's Digital Marketing Agency in Tel Aviv, Israel. LAS VEGAS (April 10, 2019) – After an incredible showing at G2E 2018, Aristocrat is now bringing industry-leading cabinets and games to FADJA Colombia 2019. In booth #60 of CORFERIAS, Aristocrat will showcase a remarkable mix of products, including the award-winning ARC™ Single cabinet. “Aristocrat’s Mighty Link™ game themes, including Zorro™, Ted™, Elvira™, and PanAm™, have proven to be popular with players, making them great options for casino operators,” Srulevich added. Additionally, Aristocrat will show its Helix XT™, Helix+™, and Viridian WS™ cabinets, and many new titles in the E*Series™ line of entertainment-style games. “During FADJA, Aristocrat will launch Mighty Cash Double Up™ titles in Colombia, along with other surprises for our visitors in the booth. Our mission is to bring entertainment to players, and performance to casino operators,” said Srulevich. On the Helix+ cabinet, Aristocrat will show new titles for its Mighty Cash™ Link: Red Blade™, Green Blade™, Vegas Wins™, and Outback Bucks™. On the Viridian WS, attendees will find the Gold Stacks™ Link and the titles Golden Zodiac™, Golden Prosperity™, Prosperity Cats™, and Prosperity Princess™. Discover the gaming industry’s leading solutions in Aristocrat’s booth #60 at FADJA. LONDON – April 9, 2019 – International Game Technology PLC (“IGT”) (NYSE:IGT) Wheel of Fortune® slots awarded a $1,311,818 jackpot to a lucky slot player at The Venetian Resort Las Vegas in Las Vegas, Nev. on March 3, 2019. This life-changing jackpot marks the fourth million dollar-plus Wheel of Fortune jackpot awarded this year. Scientific Games Corporation fuelled unmatched betting experiences during the 2019 Aintree Grand National through its OpenBet™ product suite. Powering partner sportsbooks with stable, reliable technology, the Company saw more than 37.4 million bets throughout the festival, culminating in a strong turnout during the showcase Grand National race of 14.5 million bets. The Aintree Grand National runs for three days every year as part of the National Hunt race calendar in the United Kingdom. This year, Scientific Games’ sportsbook customers processed more than 239 million account transactions, representing an increase of 8% over 2018. Bets per minute also saw a significant uptick over 2018 at 25,000, a 25% increase. On top of the strong betting output, OpenBet proved a stable platform throughout the Grand National festival. In addition to this award from Walmart, the PlayCentral 54 captures several retail industry ‘firsts’ for Scientific Games, including first lottery self-service technology offering a full portfolio of lottery game entertainment (instant, draw, high-frequency draw games and other lottery products), first with Payment Card Industry (PCI)-certified card and mobile payment options, and first lottery self-service machine in a reduced-size height actually in market. Scientific Games provides games, technology and services to more than 150 lotteries globally. The Company is the fastest growing lottery systems provider in the U.S. and the largest in Europe. LAS VEGAS, NEVADA – Aruze Gaming (“Aruze”) is proud to announce as of January 22, 2019, the company entered into a partnership with Techno Gaming, an independent gaming distribution company based in Argentina. Techno Gaming will be the Exclusive Distributor for Aruze in Argentina and Uruguay and an Authorized Representative for Paraguay. “Aruze is a well-recognized brand in the international gaming industry, mostly in Asia and North America. Aruze will now start expanding further into the Latin American market. I am proud and grateful for the opportunity given to Techno Gaming by Aruze, as we see great opportunities in Argentina, Uruguay and Paraguay for Aruze Products. Our local Customers waited a long time for Aruze products. I am very enthusiastic and look forward to expanding the Aruze brand in the local market”, said Carlos Mautone, Founder and Sales Director of Techno Gaming. Discover riches and beauty from around the world with the Legend City series! Four gorgeous games, Legend City Asian Beauty™ , Legend City Aztec Beauty™ , Legend City Egyptian Beauty™ , and Legend City Island Beauty™ are all 5 reel video slot titles available on the Muso Curve-43™ cabinet. All titles offer multiple denomination options along with varying numbers of max lines. These four titles capture players’ attention with a mix of bonus features. Each game has a different combination of Free Games and credit reveal features. Two titles have Free Games with additional Wilds, while the other two have additional Bonus symbols during free games. The credit reveal features can be either Pick and Win or Prize Collector. Both are triggered by six bonus symbols and award revealed credits, bonus prizes or jackpots. Also featuring a Jackpot Surprise feature and a Bonus Wheel Feature, these games are sure to draw you for a fabulous game experience! LONDON, April 1, 2019 – Scientific Games Corporation (NASDAQ: SGMS) (“Scientific Games” or the “Company”) has successfully completed the roll-out of its innovative Equinox terminals across the Ladbrokes Coral estate. As the biggest ever gaming supply deal in the licensed betting office sector, and part of the seven-year agreement between Scientific Games and Ladbrokes Coral, the introduction of Equinox across the majority of the estate demonstrates the dedication of both businesses in driving the sector forward during this crucial time for the industry. Simon Johnson, Group Commercial Director of SG Gaming UK, added: “We are proud to work closely with Ladbrokes Coral, and the large-scale roll-out of our Equinox terminals marks a new stage in this partnership. Our state-of-the-art hardware enables Ladbrokes Coral to take advantage of our latest content and software developments, including our new menu concept which provides an exciting new way of game navigation, and gameplay features such as ‘Premium Play’. “As the customer journey is set to change in the coming months, it is important that we invest in the sector and innovate our offering, and support our customers as they drive their retail gaming performance”. LAS VEGAS, April 5, 2019 /PRNewswire/ -- Scientific Games Corporation (NASDAQ: SGMS) ("Scientific Games") announced today that its subsidiary, SciPlay Corporation (the "Company"), has filed a registration statement on Form S-1 with the U.S. Securities and Exchange Commission relating to a proposed initial public offering of a minority interest in Scientific Games' social gaming business. The number of shares to be offered and the price range for the offering have not yet been determined. The social gaming business will now officially be called "SciPlay". The Company has applied to list its Class A common stock on the NASDAQ Global Select Market under the ticker symbol "SCPL". Merrill Lynch, Pierce, Fenner & Smith Incorporated, J.P. Morgan Securities LLC, Deutsche Bank Securities Inc., Goldman Sachs & Co. LLC, Morgan Stanley & Co. LLC, Macquarie Capital (USA) Inc. and RBC Capital Markets, LLC, will act as book-running managers for the offering. Stifel, Nicolaus & Company, Incorporated and Wedbush Securities Inc. will act as co-managers for the offering. The offering will be made only by means of a prospectus. Copies of the preliminary prospectus relating to this offering, when available, may be obtained from BofA Merrill Lynch, NC1-004-03-43, 200 North College Street, Third Floor, Charlotte, NC 28255-0001, Attention: Prospectus Department or by email at dg.prospectus_request@baml.com; J.P. Morgan Securities LLC, c/o Broadridge Financial Solutions, 1155 Long Island Avenue, Edgewood, NY 11717, by telephone at 866-803-9204 or by email at prospectus-eq_fi@jpmchase.com; or Deutsche Bank Securities Inc., 60 Wall Street, New York, NY 10005-2836, Attention: Prospectus Group, telephone: 1-800-503-4611 or by emailing prospectus.cpdg@db.com. A registration statement relating to these securities has been filed with the Securities and Exchange Commission but has not yet become effective. These securities may not be sold nor may offers to buy be accepted prior to the time the registration statement becomes effective. This press release shall not constitute an offer to sell or the solicitation of an offer to buy these securities, nor shall there be any sale of these securities in any state or jurisdiction in which such offer, solicitation or sale would be unlawful prior to registration or qualification under the securities laws of any such state or jurisdiction. LONDON, U.K. – April 2, 2019 – International Game Technology PLC (“IGT”) (NYSE: IGT) announced today that it recently launched a new Bingo Gaming Platform with Manitoba Liquor & Lotteries (MBLL). The Canadian lottery operator now features a total of 500 of these unique Class III games at two of its flagship casinos in Winnipeg, Canada – McPhillips Station Casino and Club Regent Casino. Housed on IGT’s CrystalSlant cabinet, the Bingo Gaming Solution was developed specifically for MBLL and features live session bingo games along with a custom, ten-game content bundle that was developed specifically for MBLL. Each Bingo Gaming Solution features three player-favorite slot games, such as Lucky Larry’s Lobstermania® 3, three video poker games such as Deuces Wild Poker, and four Keno games such as Fireball Keno® and Cleopatra® Keno. LAS VEGAS, NV (March 25, 2019) – Gaming Laboratories International (GLI®) has been a trusted supporter of Tribal Gaming Regulatory Authorities in jurisdictions across the United States for 30 years. Now at NIGA 2019, GLI will showcase how Class II and Class III regulators, commissioners, and operators benefit from GLI’s expertise and services. The company will be in booth #1722 at the show, discussing the many ways GLI helps tribes protect their investments, ensure compliance, and prepare for the future. GLI experts will discuss the company’s multiple services for tribal operators, including gaming floor audits and field inspections; accounting system audits and inspections, bingo system audits and inspections; and kiosk testing and inspections. “We are humbled with the trust tribal operators place in GLI, and we work hard every day to show our dedication to this industry. We are fortunate that today regulators and operators rely on GLI for Class II and Class III testing and related services more than any other lab,” said GLI Director of Client Services Michael Capen. Beyond its lab and field services, GLI has been supportive of Tribal charitable efforts. For example, GLI has been a NIGA Associate member for more than 20 years, and the company is also a long-time supporter of the Spirit of Sovereignty scholarship program. Also exhibiting in GLI’s booth are compliance solutions from Kobetron. One solution is IRIS Online, which puts the power of modern technology in the palm of your hand. IRIS Online provides real time software status alerts, real time floor analysis, and machine floor data, and letter and signature access. The technologically advanced IRIS Enterprise system saves regulators time and money in the compliance process. IRIS Enterprise was specifically designed to manage slot floor business processes by marrying slot department and gaming commission functions in one system, giving users one easy window to manage, track and audit the gaming operation. Off the show floor, GLI’s Vice President of Government Relations & General Counsel Kevin Mullally will participate on the panel, “Responsible Gaming Initiatives: Keep Our Gaming Healthy.” The panel takes place April 2 at 11:00 a.m.
Visit GLI in booth #1722 at NIGA and discover how GLI’s 30 years of expertise can benefit your operation. LONDON --- IGT today announced that Ghostbusters™ 4D Video Slots has made its Spain casino debut. Players at Casino Barcelona in Barcelona, Spain and Casino Peralada in Peralada, Spain can now enjoy the title’s innovative TRUE™ 4D technology on the CrystalCurve™ TRUE 4D cabinet. This engaging title brings to life one of the most celebrated franchises of all time and combines glasses-free TRUE 3D™ graphics with mid-air haptic and gesture recognition technologies to create a multi-sensory gaming experience. London & Dublin - April 1, 2019: GAN plc ("GAN" or the "Company"), an award-winning developer and supplier of enterprise-level B2B Internet gaming software, services and online gaming content in the United States, today announced the release of quarterly key performance indicators for the first quarter of 2019, highlighting continuingly strong momentum with all business units of the Company (Real-Money Gaming, Simulated Gaming, Online Sports Betting) operating at record levels in Q1 2019. "Internet Sports betting in New Jersey driven by national events such as the Super Bowl (American Football) and NCAA college basketball's 'March Madness' continued to fuel exceptional growth of Gross Operator Revenue in this first quarter of 2019, as well as amplify the positive impact to Casino revenues from the cross-over of sports gamblers to casino games." · Gross Operator Revenue, which comprises the sum of gross revenue from Simulated Gaming; gross gaming revenue from real money regulated Gaming; and gross sports win from real money regulated Sports betting, increased 148.3% year-over-year and 41.4% quarter-over-quarter to $59.1 million. This increase was driven by strong growth in real money regulated gambling in the US. · Active Player-Days increased to 5.3 million, an increase of 65.6% year-over-year and 14.4% quarter over quarter. LAS VEGAS, April 1, 2019 /PRNewswire/ -- Scientific Games Corporation (NASDAQ: SGMS) ("Scientific Games" or the "Company") has strengthened its relationship with Danske Spil, Denmark's national lottery and largest operator, signing an agreement that will see the operator enhance their sportsbook offering for their players. The extension will see SG Digital continue to play an integral role in the delivery of Danske Spil's sports betting offering, having been a trusted partner to the leading Danish operator since 2012. SG Digital has provided Danske Spil with a proven product set, and this extension will see further enhancements to the sportsbook platform to create unrivalled player experiences for Danish sports bettors. The five-year renewal will see Danske Spil benefit from SG Digital's enhanced sportsbook solutions, including a brand new front-end digital user experience with a roadmap of new innovative features. As part of the new revenue share commercial model, Danske Spil will be able to deploy all new product features from SG Digital's roadmap as they're released. Keith O'Loughlin, SVP Sportsbook and Platforms at SG Digital, said: "We are excited to expand our relationship with Danske Spil, a long-term partner that shares our passion for delivering engaging and intuitive sports betting experiences. Since the start of our partnership in 2012, Danske Spil has grown and retained their position of leadership in the Danish market, and we now look forward to supporting Danske Spil in creating enriched, memorable experiences for their players." Niels Erik Folmann, CEO at Danske Licens Spil, said: "We are very happy to continue our relationship with SG Digital. This partnership will continue to form the core of our sportsbook offering moving forward. At Danske Spil we pride ourselves on delivering entertaining games and a premium user experience, and our partnership with SG Digital is key in this regard." Scientific Games Corporation (NASDAQ: SGMS) is a world leader in entertainment offering dynamic games, systems and services for casino, lottery, social gaming, online gaming and sports betting. Scientific Games offers the gaming industry's broadest and most integrated portfolio of game content, advanced systems, cutting-edge platforms and professional services. Committed to responsible gaming, Scientific Games delivers what customers and players value most: trusted security, engaging entertainment content, operating efficiencies and innovative technology. For more information, please visit scientificgames.com. LAS VEGAS, March 29, 2019 /PRNewswire/ -- Scientific Games Corporation (NASDAQ: SGMS) ("Scientific Games" or the "Company") will showcase its commitment to developing the gaming industry's most innovative products, content, and technology for casinos, mobile gaming and sports betting at the Indian Gaming Tradeshow & Convention, hosted by the National Indian Gaming Association (NIGA) on April 3 and 4 in booth #1631 at the San Diego Convention Center. "We're excited to connect with our partners at NIGA and share with them the latest and most innovative products, content and technology which all work together to create opportunities for players to enjoy great games they love anywhere, anytime, across any channels," said Scientific Games President and CEO, Barry Cottle. "There is so much energy leading up to this show and our team is ready to help our partners create the best player experiences from the casino floor to sports betting." Scientific Games continues to lead the industry by transforming the traditional casino into a dynamic space that offers unique social experiences, fosters player interaction and creates immersive environments. All of the Company's games, platforms and systems work together to create a connected, immersive and personalized player experience. At the heart of Scientific Games is an intense focus on creating amazing player experiences and great games. The Company continues to build a state-of-the-art entertainment ecosystem that delivers thrilling content across all gaming verticals, from the casino floor to mobile to sports. Some of the dynamic games and products the Company will share at NIGA this year include compelling and engaging content. Scientific Games will introduce its first licensed Class II wide-area progressive jackpot game with MONOPOLY Grand™. The iconic game offers a thrilling, lightning-fast gaming experience with bonuses that highlight the classic board game such as the Electric Company free games and Free Parking feature. Lock It Link® - Lu Lu Tong™ and Lock It Link® - Shi Shi Shun™ are the first Asian-themed games in the hugely successful Lock It Link game series and are debuting exclusively in the Class II market. Lu Lu Tong is a 5-reel, 50-line game and Shi Shi Shun is a 5-reel, 243 ways-to-win game. Both games showcase the player-favorite Lock It Link feature, a free spins bonus where adjacent designated symbols on the reels will be linked together and locked in place. MUNCHKINLAND™, the newest game in the Company's successful THE WIZARD OF OZ™ slot series, will also be on display. This highly anticipated game, showcased on the Gamefield® 2.0 cabinet, features the beloved characters and classic scenes from the iconic film, and is the first WIZARD OF OZ slot to utilize 3D rendered characters, including the first-ever appearance of The Wicked Witch of the East, as an integral part of the game's features and bonuses. Many player favorites will also be available for sale on the new TwinStar® Wave XL cabinet. The stunning TwinStar Wave XL offers a bigger and better player experience, showcasing a stunning, curved, 49-inch, 4k resolution, ultra-high-definition display, generating the kind of sensational graphics seen in high-end home theatres. Scientific Games will also feature the best in table game products including the Free Bet Blackjack™ on Table Master Fusion® and Paris Poker™. As the number one provider of gaming systems, Scientific Games will demonstrate its unrivaled cardless, cashless, connected player experience with systems products that create an exciting gaming environment and a more profitable and informed operator including the iVIEW®4, which offers cardless loyalty enablement and a cashless wallet. Scientific Games is providing a player devoted sportsbook solution with the most complete, reliable and scalable sports platform that provides customers with a full service, fast-to-market, versatile solution. The Company provides trading, marketing and product management services to partners through the powerful combination of the Company's leading sports betting technology, OpenBet™, managed trading services with real-time data and pricing resources, and its Sportsbook Operations Services. Scientific Games partners with its operators to provide the unmatched, most open and complete sports betting platform in the market. Judy Garland as Dorothy from THE WIZARD OF OZ. • CashClub® Concierge – a personalized cash access cage service for VIPs as well as table game and high-limit room players that integrates mobile tablets and mobile point-of-sale (POS) devices through Everi’s CashClub software. CashClub Concierge eliminates the need for a player to leave their gaming position to access additional funds by bringing the cage to the player. • CXC 5.0 / 5.0 L – Everi’s fully integrated kiosks offer enhanced security features including a real-time rear view camera as well as plentiful branding and marketing space. Designed for smaller volume properties, the CXC 5.0 L offers similar services as the CXC 5.0, but with a smaller footprint and a lower price point. • Jackpot Xpress™ – an award-winning software platform that enables floor staff to securely and efficiently process jackpots using a mobile device (Jackpot Xpress Mobile) right at the player’s gaming machine or at the JackpotXchange® Lite (JXC-L) kiosk. • CashComplete™ RCS-700 – this powerful note recycler has the ability to count, store, and sort notes to maximize cash inventory and tighten cash controls, fully automating a property’s cash management. • CageXchange™ cash dispenser – speeds up transactions, reduces cash shrinkage, and improves overall casino staff productivity. 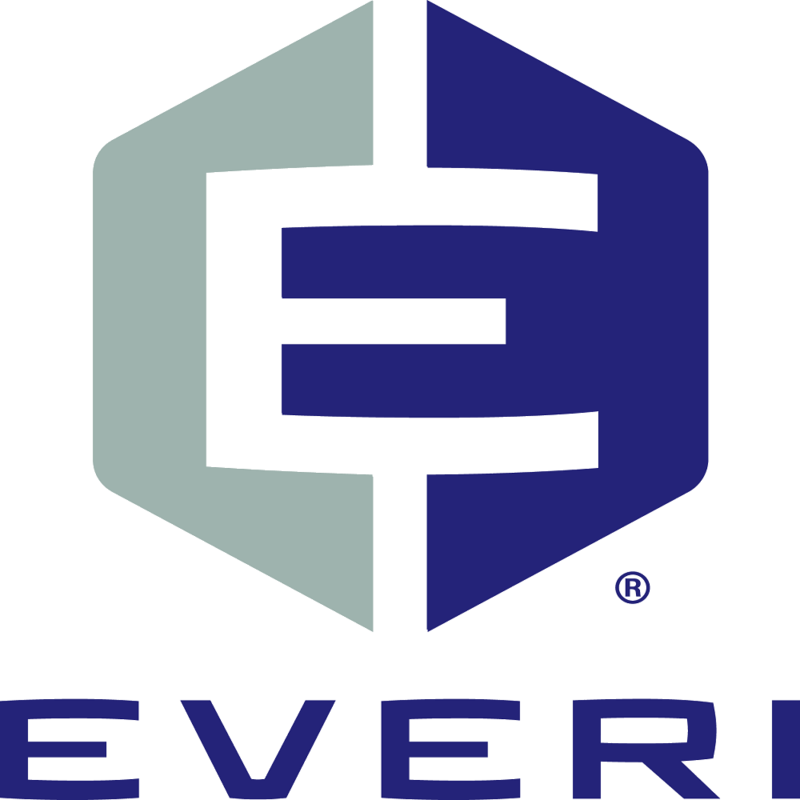 • Everi Compliance® AML – the gold standard for AML compliance across the industry provides real-time tracking for all transactions on the floor and integrates with all major casino management systems. LONDON, U.K. – March 28, 2019 – International Game Technology PLC (“IGT”) (NYSE:IGT) today announced that the Company will present new multi-level progressive and multi-game content for its customers at Feria Americana de Juegos de Azar (“FADJA”) 2019, April 10-11, in Bogotá Colombia. These next-generation games will be joined in IGT’s stand 56 by a range of IGT’s proven video core titles and the IncrediBell! tournament solution. New Multi-Level Progressive Content: New linked MLP games such as the Fortune Link™ theme with base games including, the Feline Fortune™ and Egyptian Fortune™ themes make their Latin America trade show debut. The Hyper Hits™ game series will be demonstrated for the first time at FAJDA, highlighting the theme’s three engaging base games Flower Empress™, Longship Legend™, and The Golden Bow™. Offered on the CrystalDual® 27 gaming machine, these thrilling titles join a growing library of player-favorite IGT MLP games. Multi-Game Suites with Market-Attuned Content: The Company’s multi-game solution, USwitch™ will make its Colombia trade show debut with market-attuned game suites such as Solar Disc™, Mistress of Egypt™, and Temple of Fire™. Housed on the CrystalDual® 27, the unique game bundles feature a user-friendly game selector that groups similar games, making it easier for players to find themes that suit their individual preferences. IGT will also highlight its diversity HD game suites on the AXXIS® 23/23 cabinet, including unique combinations of 12 new and heritage player-favorite IGT titles. IGT will also showcase how coupling diversity HD suites with the Money Strike™ bolt-on progressive can enhance an operator’s current offerings by giving players the chance to win progressive jackpots. Tournament Technology that Excites: FADJA attendees can experience IGT’s latest video TournXtreme® product, IncrediBell!™, for the first time. The exhilarating offering enhances the versatility of the CrystalDual 27 gaming machine by enabling operators to easily switch from tournament mode to coin-in mode– eliminating machine downtime and maximizing ROI. Core Content on Attention-Grabbing Hardware: The Company will highlight the latest additions to its robust core game library with engaging new titles such as the Griffin’s Throne™, Magic of the Nile™, and Coin O Mania™ games on the proven CrystalCurve™ gaming machine. The titles’ graphics look pristine on the cabinet’s 43-inch, curved, ultra-HD 4K display and join a large library of diverse IGT games that excelled in internal and external performance testing. LAS VEGAS and ATLANTA, March 28, 2019 /PRNewswire/ -- Scientific Games Corporation (NASDAQ: SGMS) ("Scientific Games" or the "Company") congratulates longtime instant game partner the Florida Lottery (the "Lottery") on breaking another U.S. record for single week retail sales of instant games. Floridians purchased $126,250,558 in Scratch-offs the week ending March 3rd, 2019, which generated more than $23.3 million for the Educational Enhancement Trust Fund that benefits Florida students. The record week of instant game sales crushed the Lottery's previous U.S. record of $123,841,386 set in 2018. This record week comes just six months after the Lottery announced seven consecutive years of record-breaking annual sales for fiscal year 2018. Scientific Games Corporation congratulates longtime instant game partner the Florida Lottery on breaking another U.S. record for single week retail sales of instant games. Floridians purchased $126,250,558 in Scratch-offs the week ending March 3rd, 2019, which generated more than $23.3 million for the Educational Enhancement Trust Fund that benefits Florida students. The new weekly sales record week was driven by the Lottery's newly launched $30 game $15 Million Gold Rush Special Edition, which alone garnered sales of $29.5 million in the week ending March 3rd. The hit $30 game is an addition to the Lottery's popular Gold Rush "family" of games offered at the $1, $2, $5, $10 and $20 pricepoints. As a whole, the Gold Rush family sold $62.88 million in the week ending March 3rd. Additionally, the Florida Lottery's newest $5 game $1,000,000 Luck set a one-week sales record for $5 games with $8.91 million in sales. All of these games were provided by Scientific Games, the world's largest designer, manager and manufacturer of lottery instant games. The Company is the Lottery's longtime Scratch-offs provider, currently supplying 99 percent of the Lottery's instant games. Jim Poppell, Florida Lottery Secretary, said, "We don't set out to break national lottery industry records, we set out to generate funding to enhance education in Florida. These records are just a testament to the careful research, planning and marketing that goes into our scratch-off games so they provide a fun, entertainment value to Floridians. It's great to see our players having fun, and we look forward to continuing to provide them the best games available." Instant games are an important part of the Florida Lottery's portfolio of games, comprising about 69.4 percent of its total sales in fiscal year 2018. The Lottery participates in Scientific Games Enhanced Partnership program which provides instant game design, programming, manufacturing, inside sales, marketing, warehousing, distribution and retail services. The Company serves more than 13,000 Florida Lottery retailers from its facility in Orlando. "Scientific Games congratulates the Florida Lottery on another record sales week for Scratch-offs. 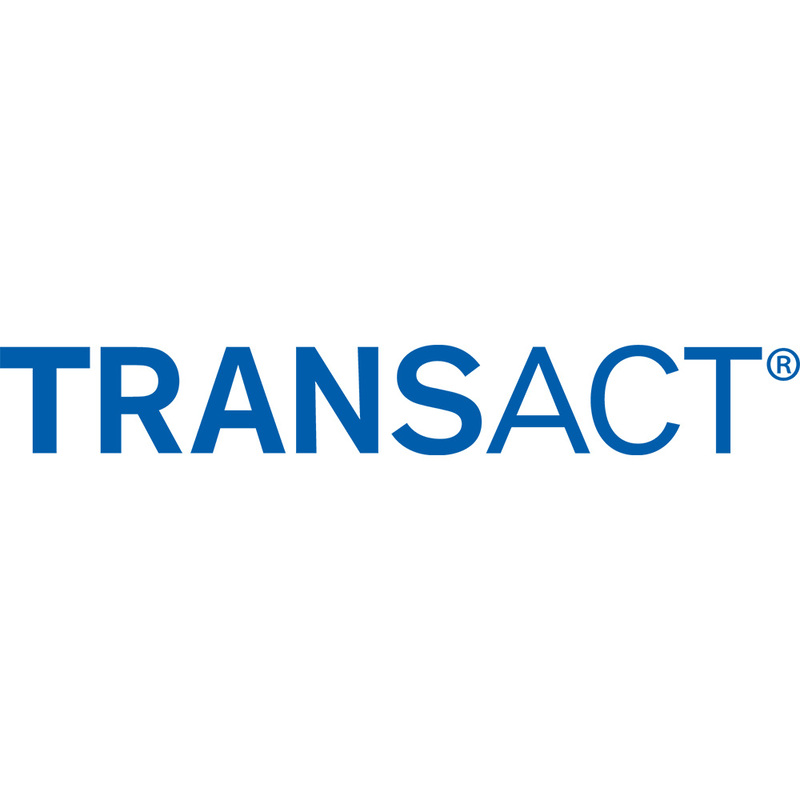 We are honored to be the Lottery's instant games partner and assist in their mission to generate maximum funding for education in the state," said John Schulz, Senior Vice President, Instant Products for Scientific Games. "This success comes from many years of working very closely together to create and market games that drive results." Scientific Games launched the world's first secure instant game in 1974. The Company provides games, technology and services to more than 150 lotteries around the globe, including nearly every North American lottery. LAS VEGAS (March 28, 2019) – Aristocrat has chosen 2019’s Indian Gaming Tradeshow and Convention to launch several groundbreaking cabinets and game titles, underscoring the company’s longstanding commitment to Tribal gaming operators. Aristocrat will be in booth #1930 displaying striking innovations that help Tribal operators reach a broad range of customers. “We are excited for NIGA 2019. It is the perfect show to officially launch our new Edge X™ cabinet, our new Winners World™ Multi-Game product, and new Class II titles. We are dedicated to helping our Tribal customers succeed, and we never stop creating innovative games, cabinets, and system solutions for our customers,” said Siobhan Lane, Senior Vice President of Marketing and Gaming Operations. First is Aristocrat’s all-new Edge X™ cabinet, which offers operators and players a unique formfactor. Edge X has two curved 43” cinematic LCD screens displaying panoramic views combined with stereo symphonic surround sound and virtual button deck, all in a cabinet that occupies a larger-than-life footprint. Edge X comes to market with some of pop culture’s biggest brands: the iconic Madonna™, the social game phenom FarmVille™, the monster hit The Walking Dead™ 3, and the apocalyptically awesome Mad Max Fury Road™. Aristocrat is also showing its new Winners World™ Multi-Game featuring Buffalo™. Available in Aristocrat’s groundbreaking Helix+™ bar top, slant and upright configurations, the new multigame houses player-favorite Aristocrat slot games, including Buffalo. In addition to slot games, Winners World Multi-Game features a new Buffalo-themed, entertainment-style keno game that offers players massive free game features and the potential for bigger wins. Players can also choose from a variety of Poker games. 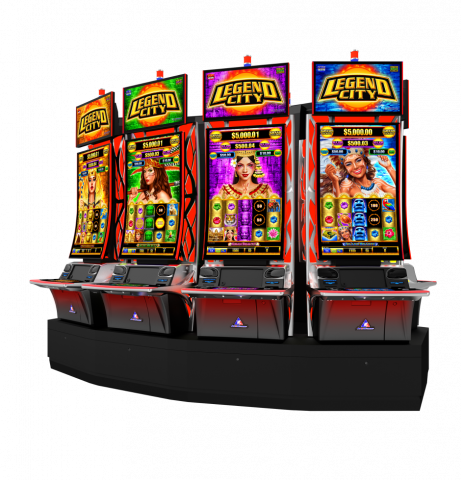 From Aristocrat’s Class II innovations, the company will showcase dozens of new games on the popular OVATION™ platform across a wide variety of cabinets – a mix that allows operators to cater to every type of player preference. Titles include player-favorite titles Buffalo Xtreme™ and Timber Wolf Xtreme™ on the Helix XT™. A barn full of PBR™-themed games including Ryan Dirteater™, Blazin’ Bulls™, Iron Cowboy™, and Stormin’ Wilds™ are also on display, all on the on the $uper Hit$ Jackpot$™ wide area progressive. All-new versions of player-favorite games for the flame55™ cabinet are also in the booth – The Big Bang Theory™ and Wicked Winnings 2™. Additionally, from the designers of Lightning Link™, the new linked product Dollar Storm™ blows into NIGA with six new titles for the Helix+ Select™ cabinet, each with a $50,000 rapid jackpot feature. Aristocrat will also showcase its leading and award-winning Oasis 360™ solution, including solutions to help Tribal operators remain competitive, such as Oasis Loyalty™, ONE LINK™, and PlayerMax™. Solutions for tables and cage, including TrackIt™ and TrackIt with Vouchers™, and the latest version of the nCompass™ media window are also being shown. Popular Asian themes come to life in the Jin Chan™ and Chun Jie™ Fortune Series games on the ARC™ Single cabinet; Feichang Fuyou™, Song Fu Song Cai™, Yi Ben Wan Li™, and Dragon Emperor Fortunes™ on the Helix+™ cabinet; and Blossoming Fortune™ and Tree of Luck™ on the Helix XT™ cabinet. Discover the gaming industry’s leading solutions in Aristocrat’s booth #1930 at NIGA. Aristocrat Technologies Inc. is a subsidiary of Aristocrat Leisure Limited (ASX: ALL), a global games leader with more than 5,000 employees. The company is licensed in around 300 gaming jurisdictions, operates in more than 90 countries, and offers a unique blend products and services. The company's mission is to bring joy to life through the power of play. Its values are rooted in creativity and technology, and the company has a rich history of innovation that has shaped the gaming industry over many decades. For further information, visit the company's website at http://www.aristocrat-us.com.